For most internet marketers out there, getting massive results in their business where they are generating 20+ leads per day, and earning $1k per day may seem like a dream. If you are thinking that achieving something like this is out of reach for you at the moment, then that type of attitude is exactly what’s keeping you stuck right now. 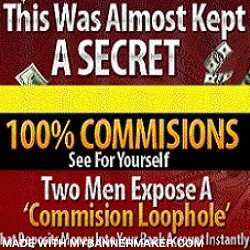 Just to bring things down to earth for you, most of the top income earner’s started exactly where you are right now. Unsatisfied about where they are in life, depressed at the thought of going to some crappy job, anxious when the bills came in, and a desperate hunger and desire for things to change. And to make this happen for you, I’ll be sharing with you some very important information that I learned on a training webinar by David Wood, a man who went from being a homeless bum living in a van, to earning $300K+ per month living in Costa Rica. 1/ Set a clear outcome for what you want out of your business. You don’t need to know everything about marketing. You don’t even need to know a lot of technical things too. I think it’s safe to say that all the successful people started out with zero to minimal knowledge in internet marketing. So don’t mislead yourself into thinking that you have to know everything to start seeing results. What’s more important is that you not drown yourself in confusion and misguidance by not setting a goal, or crystal clear intention for your business. This is the most important thing that you need to truly become successful and start seeing massive results. One of the memorable things I learned from being on that training call was take action even before you know what you are doing. The successful people are the ones who don’t wait for everything to be perfect before they take action. They are the ones’ who do, and through doing, they learn exactly what needs to be done during the process and what is effective in their marketing to take them to their desired outcome. To put it plainly, they correct as they go along. Internet marketing has a learning curve. And the learning occurs only when you take action and experience it for yourself. You can sit down and watch a ton of webinars, but what good would that do for you if all that knowledge is collecting dust in your head? The people who fail are the ones who wait for everything to be perfect before starting, and if you think about it, there is no such thing as reaching perfection for anything. So these marketers are ensuring that the cycle or failure will continue until they burn out and quit. So if you’ve been spending a lot of your days learning about internet marketing and not taking action, then I hate to break it to you but you will not be seeing any massive results for your business. As Ray Higdon, the #1 income earner in his primary business says, “Stop looking at what you know, and start looking at your results”. Did this post help you in clarifying what you want for your business ? Leave a comment below and share this post if you found it useful. P.S. If you would like to learn more about the training series that I got this information from, then go here. Looking for A Revolutionary Attraction Marketing System for Your Business? My Brains Hijacked… What to Blog About When I’m New To This Marketing Thing? How Do You Build Your Business When You’re Low On Money?!? Struggling to Use the Internet to Market Yourself and Your Business?